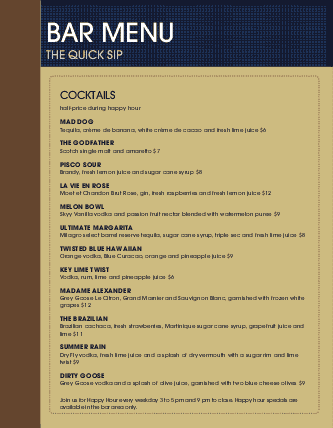 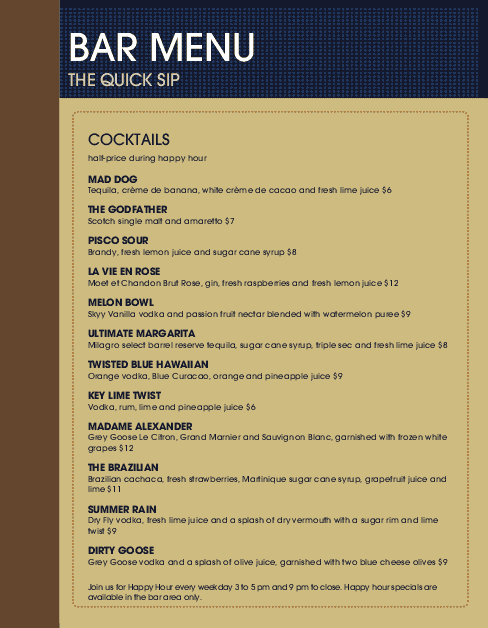 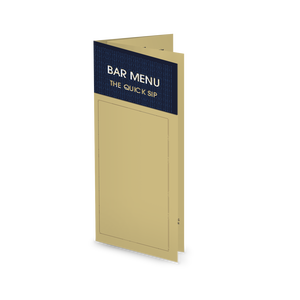 A modern pool bar menu in upscale brown and blue. 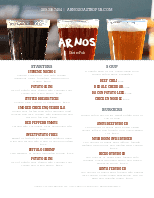 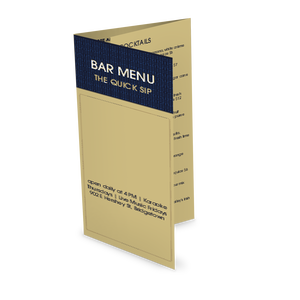 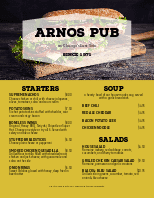 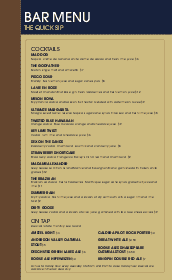 The bar or sports bar name appears along one edge of the menu design, with the bar menu title along the top in white against a textured background. Cocktails, beer, or other specialty drinks are listed in a single column. 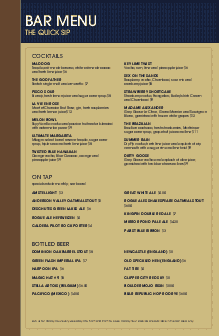 This letter-size design can be edited in the Menu Editor.